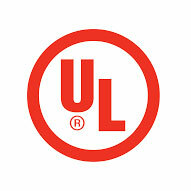 When it comes to standards related to Product Safety, there is only one ultimate recognition that companies and customers world over value have and it is the (UL) certification. Premier products are supported with global certification for its quality of performance and safety. PInternational quality standard measures are applied in establishing the quality and Premier has been awarded with the credits to mark the product with international certification marks of UL and CE apart from national ISI marks. With the compliances of the quality standards for the certification marking, International Electrical Operation Directives and Pressure Equipment Directives are complied with and Premier is proud to see its products’ placement in all the international marketing shelves from Canada/ USA on one end and upto Australia on the other end of the globe. Premier organization itself, apart from its product certifications, has achieved and follows the ISO certification awarded by international certifying agency.